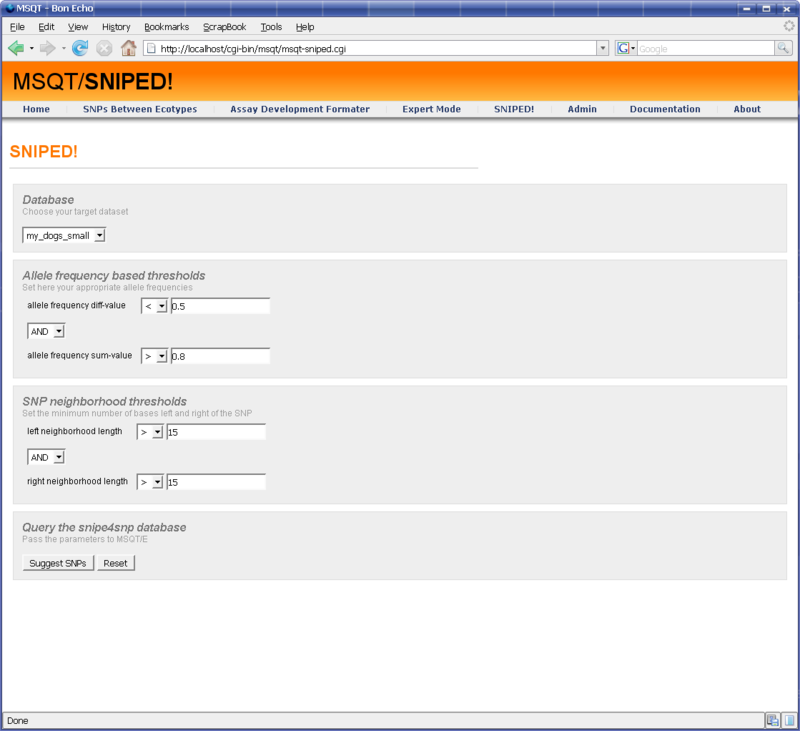 Click on the thumbnails below to get high resolution images. 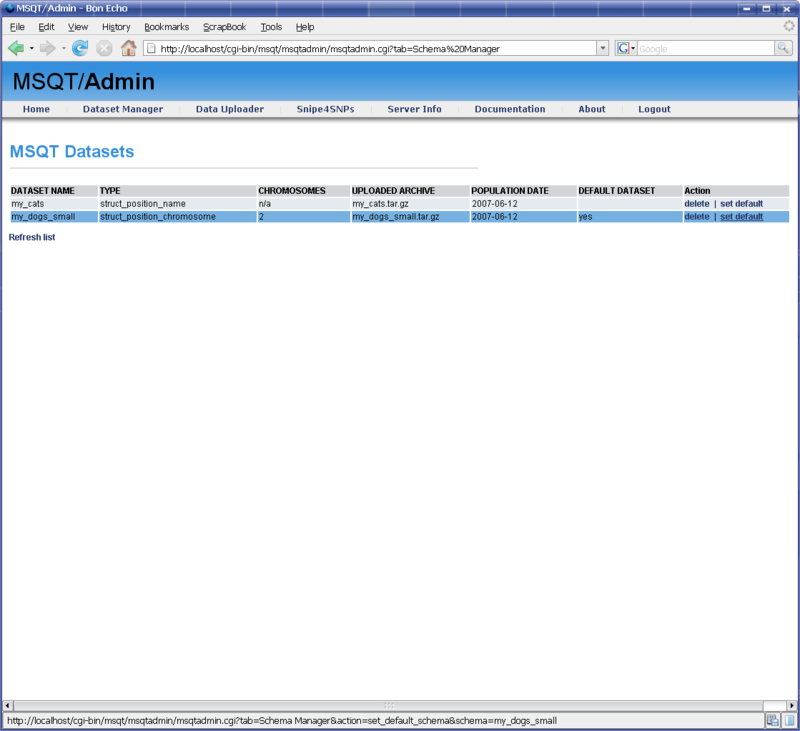 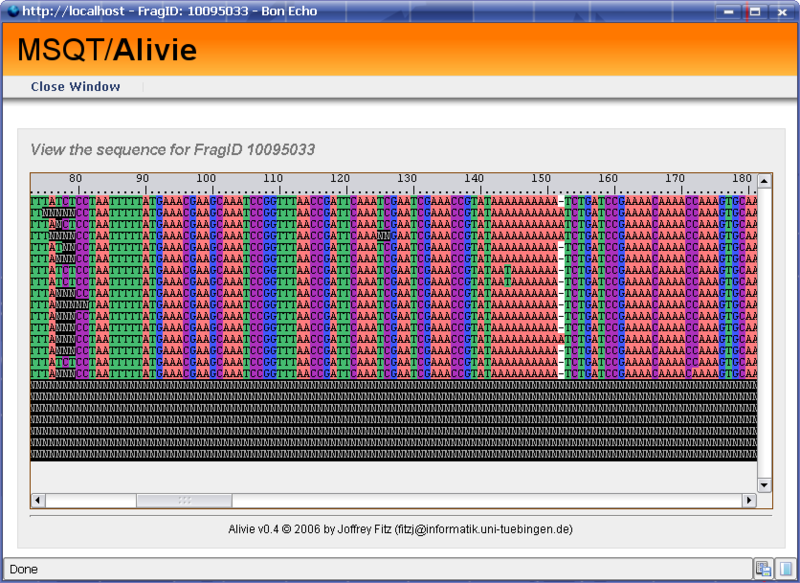 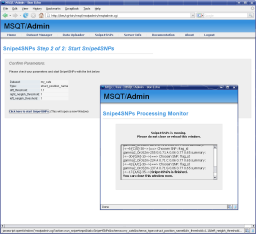 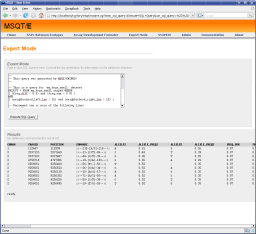 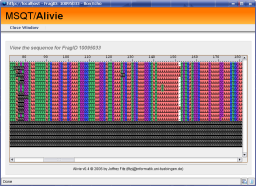 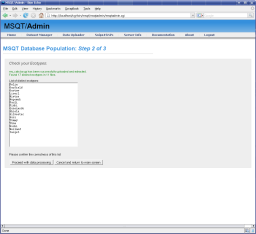 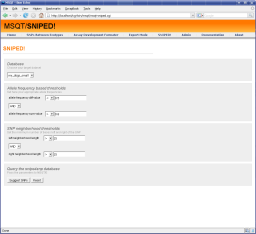 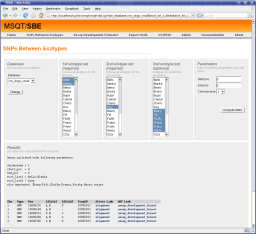 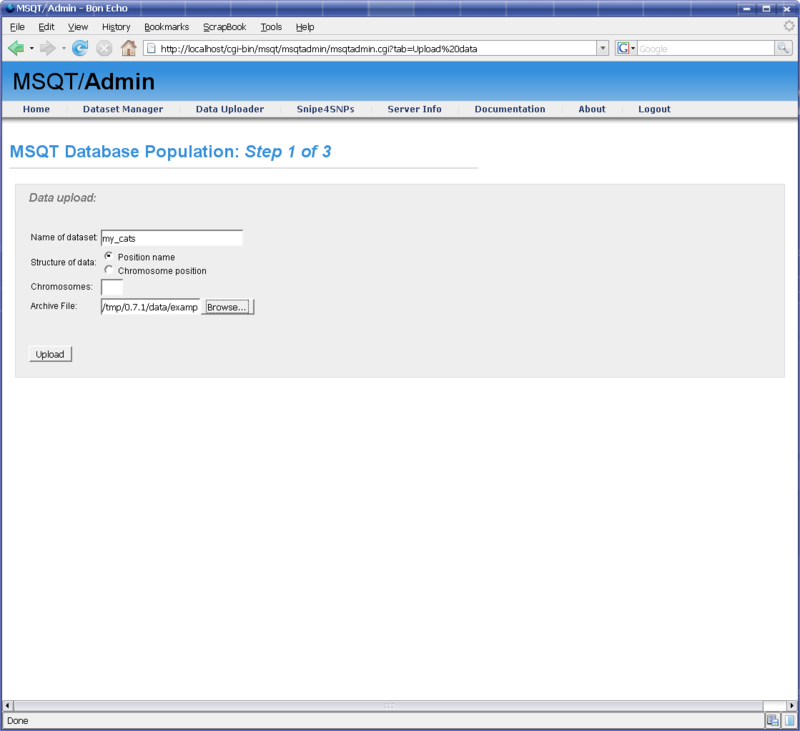 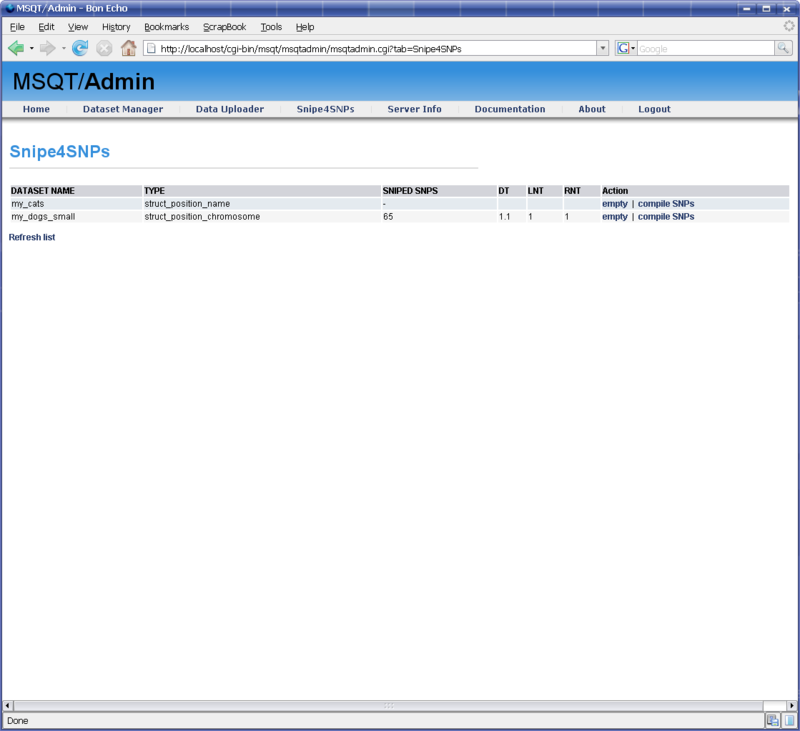 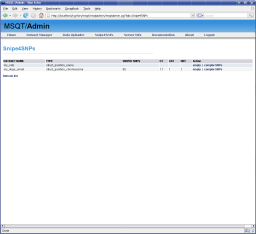 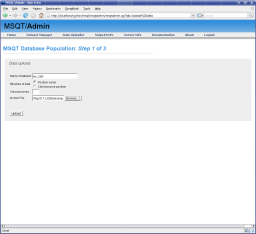 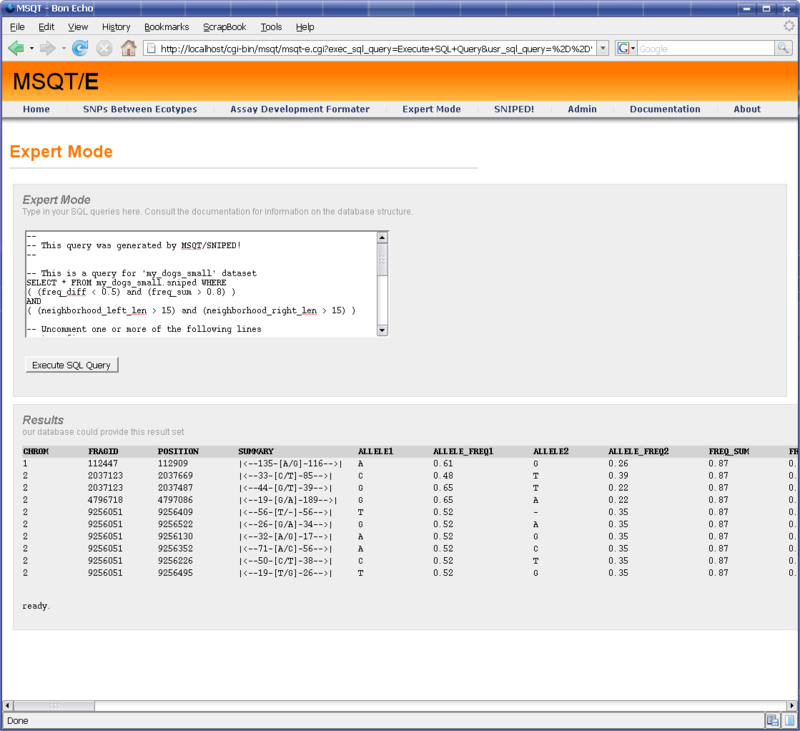 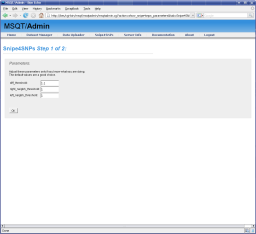 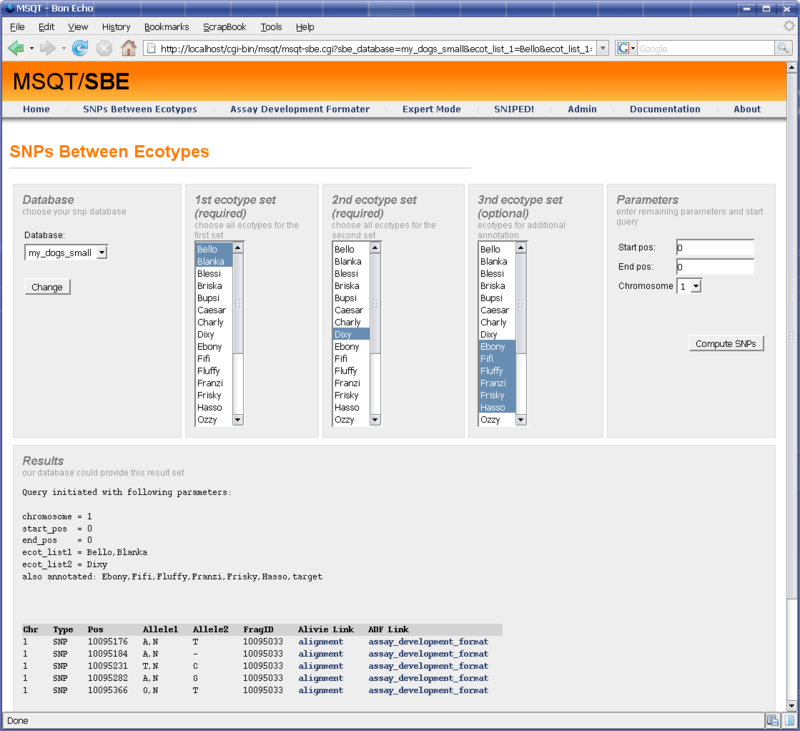 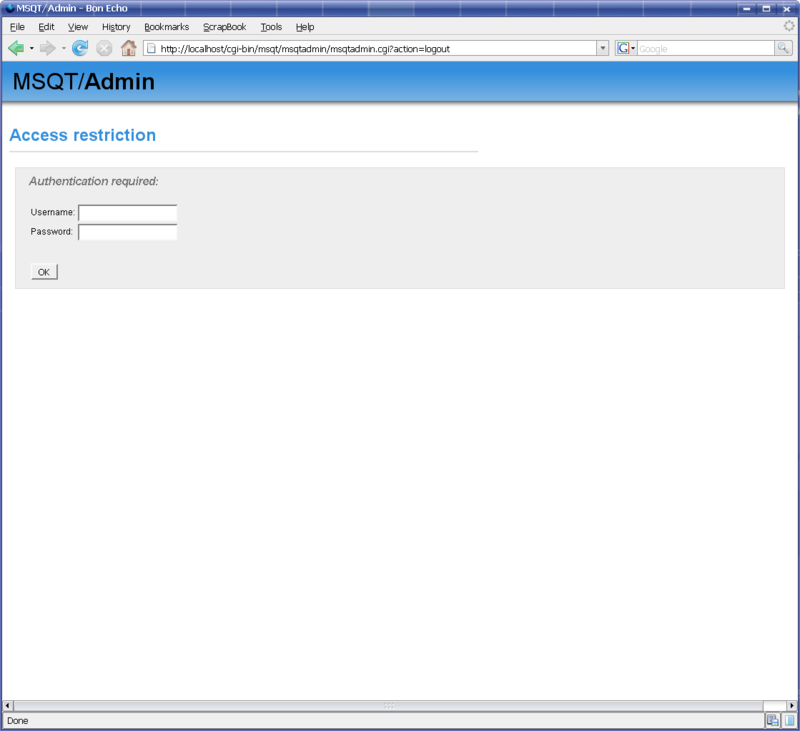 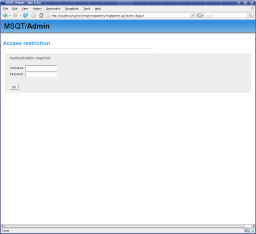 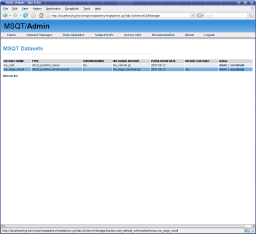 The MSQT/SBE (SNPs Between Ecotypes) Module. 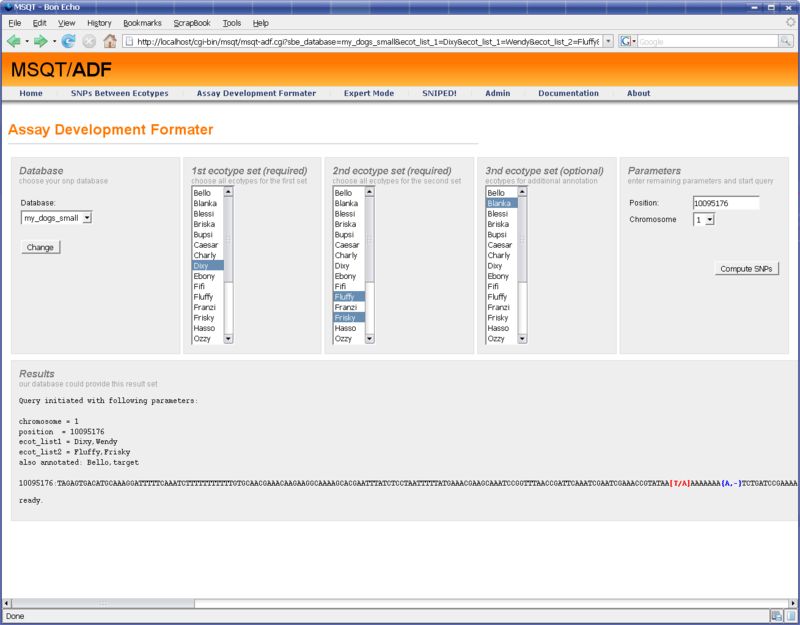 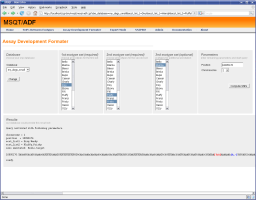 MSQT/ADF (Assay Development Formatter) assist the user in developing SNP detection assays. 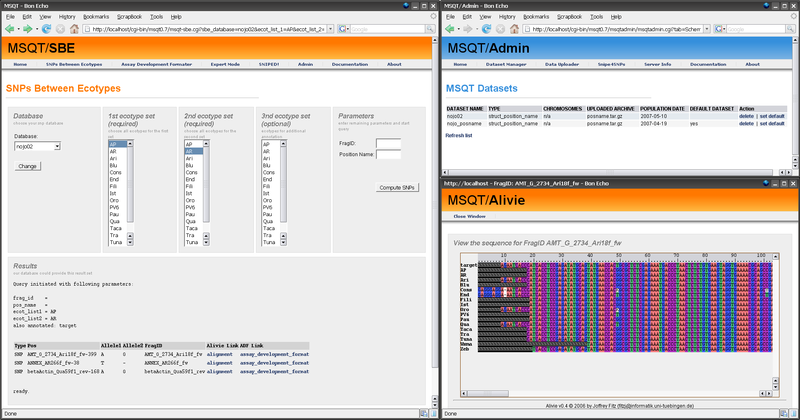 The "Expert" mode (MSQT/E) lets the user directly interact with the databases using SQL.